We stood on the shore of the lake watching yachts glide and speedboats zip through the water. The distant sound of a low-flying aircraft caught my attention, but I was entranced by the scene before me; a rising sun emerging shyly above the towering Ben Lomond. The sunlight was slowly revealing the purple hue of the heather clad mountain. 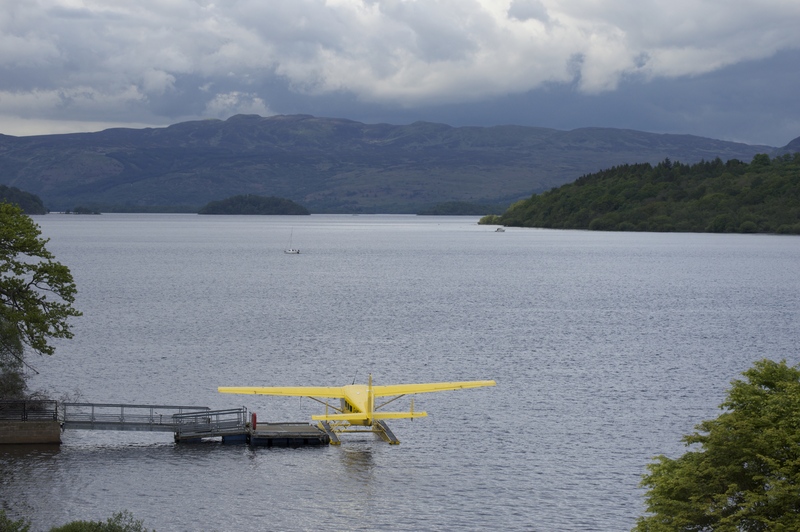 This was my first glimpse of Loch Lomond, Britain’s largest expanse of fresh water. The ducks bobbing on the water took flight, while the sound of the birds’ morning call was drowned out by an incoming aircraft. 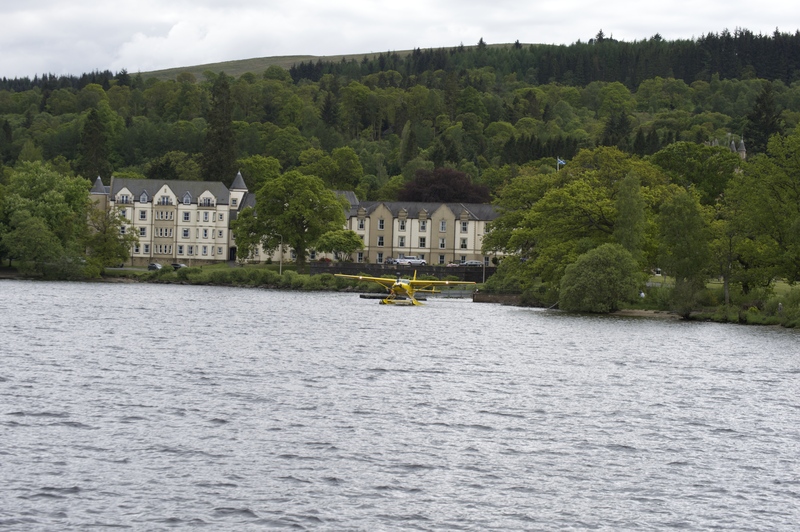 We watched as a yellow seaplane circled the lake and began its descent. Gliding across the lake’s surface, it drew to a stop in front of us. I envied the people stepping out of the plane, knowing they had just watched sunrise over Loch Lomond and The Trossacks National Park. Their beaming faces told me it had been a magical experience. I can’t really complain, we had taken an early morning flight from Dublin to Glasgow and were rewarded with blue skies, stretches of green fields and a rising sun on our descent into Glasgow. The drive from the airport to our hotel was a painless 40-minutes, arriving in time to enjoy breakfast at our hotel – Cameron House. 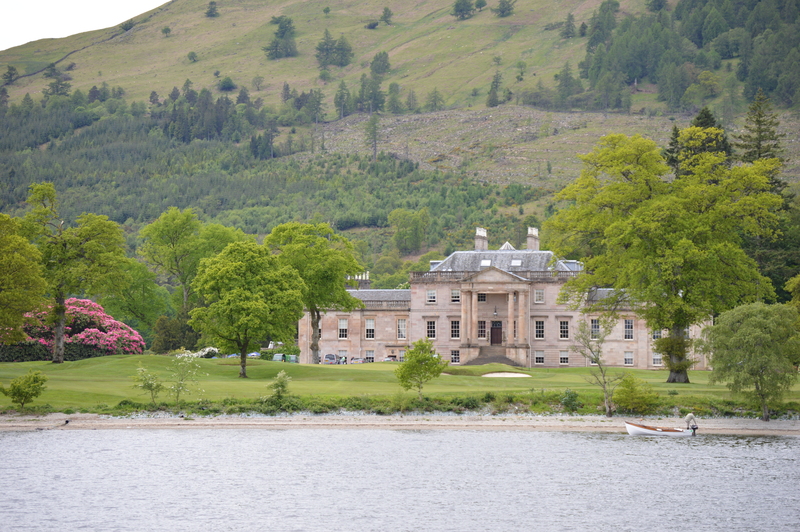 The hotel, a baronial mansion surrounded by 100 acres of woodland, sits on the shores of Loch Lomond. A traditional Scottish Manor, it has been restored and extended bringing it into modern times, without losing its elegance and old world charm. Following a hearty breakfast, we headed to unwind at the hotel’s spa, a short drive away, with views overlooking forest and a golf course. We pottered around all three levels of the spa in our slippers and robes, lounging on heated stone beds, sweating out our toxins in the steam room and sauna and splashing about in the pool. Saving the best till last, we headed to the rooftop infinity pool where we floated happily, watching rabbits bouncing around the greens, while birds of prey circled threateningly above. Lunch was served in The Boathouse restaurant at the marina, a three-minute walk from the hotel. The bright, wooden interior has a Hamptons style vibe, elegant, yet informal, as is the menu. Fresh seafood from Loch Fynne features heavily on the menu, with oysters being a speciality, but there’s plenty else to indulge in including tasty pizza, pasta and meat dishes. 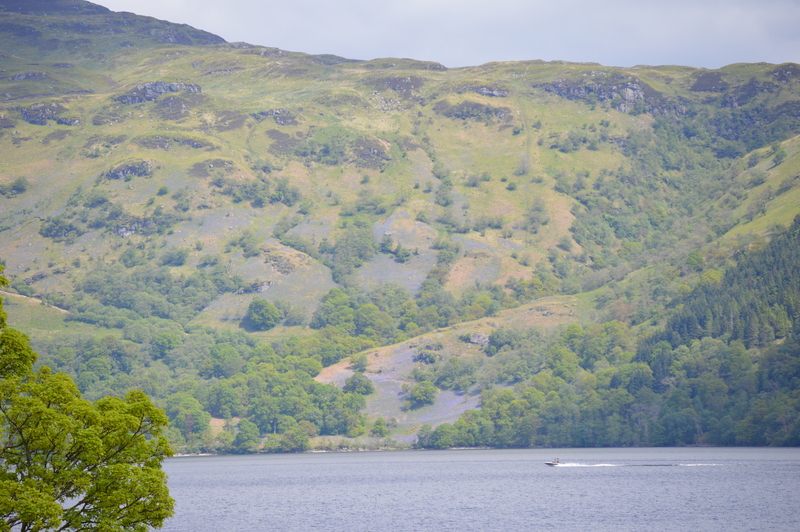 You can’t visit Loch Lomond and not get out on the water and that’s exactly what we did after a delicious lunch. We jumped aboard the hotel’s yacht to enjoy the champagne cruise. From the water you get close up to the islands, of which the larger ones are loved for their nature trails and sheltered, sandy coves. The view from the lake also revealed grand castles, golf-courses, campsites and unassuming residences. There is no shortage of things to do at Cameron House and it’s not all for adults, they cater for families, with a purpose built leisure centre, replete with water slides, a Games Room and lots more. Loch Lomond and The Trossacks National Park is a haven for those who love the outdoors and nature. 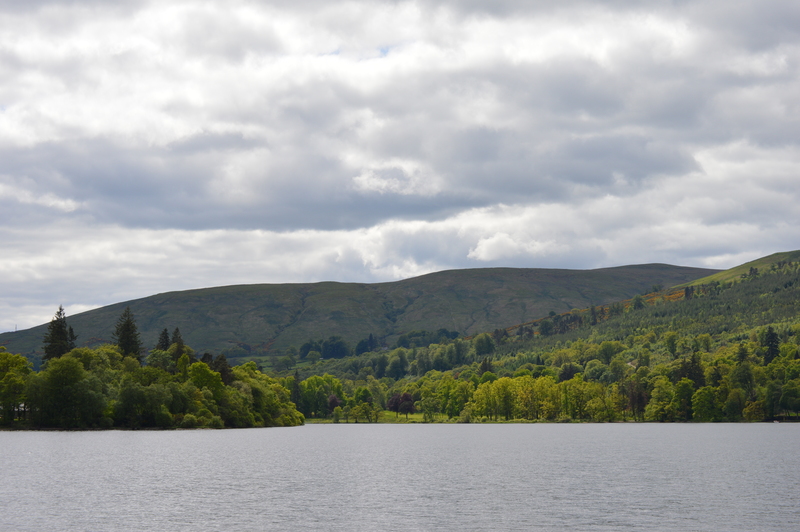 Hikers are spoilt for choice with endless mountain and lake walking trails, while bird lovers won’t want to miss the Loch Lomond Bird of Prey Centre in Balloch. The beauty of the area is such that, a simple drive around the lake is breathtaking. 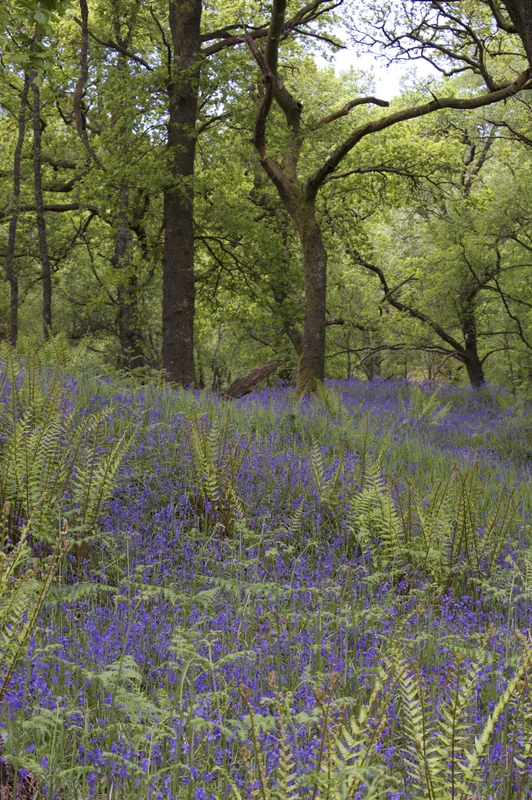 The narrow, twisting road skirts the lakeshore, the forest floor carpeted with bluebells. Every now and then you catch a glimpse, between the oak trees, of the shimmering lake and mountains rising majestically in the distance. 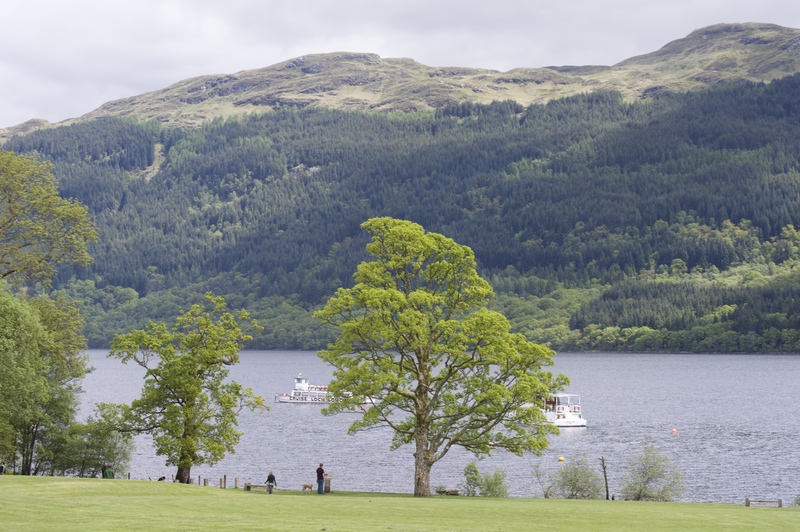 Tarbet makes a wonderful pitstop where you can enjoy a picnic on the grassy verge by the lake and then jump aboard a boat for a cruise around the islands. After a day of activities, a quiet dinner in the Cameron Grill and drinks in the Great Scots Bar was the perfect end to a perfect day. Watching darkness creep over the mountains, I found myself wishing we had a full weekend to explore the area, but we had to push on. There were The Highlands and islands awaiting us. 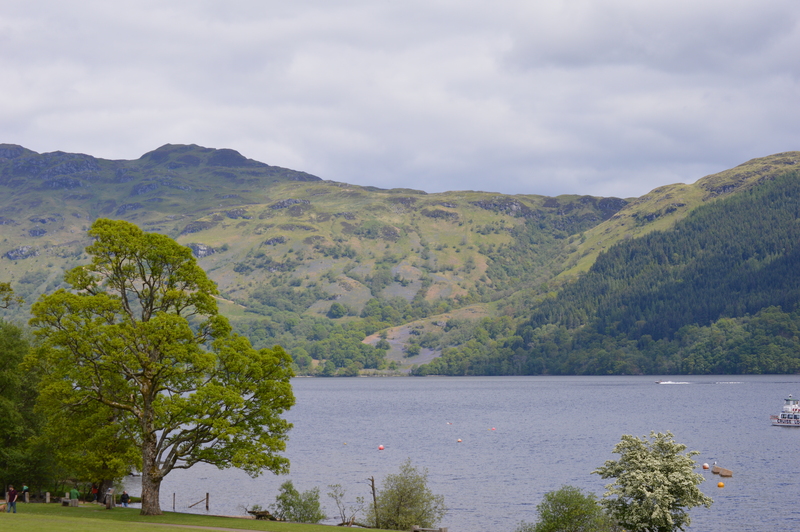 Of course, this leaves me with a good excuse to return for a long weekend to the magical Loch Lomond. We stayed at Cameron House Hotel and it is the ideal spot for couples and families. 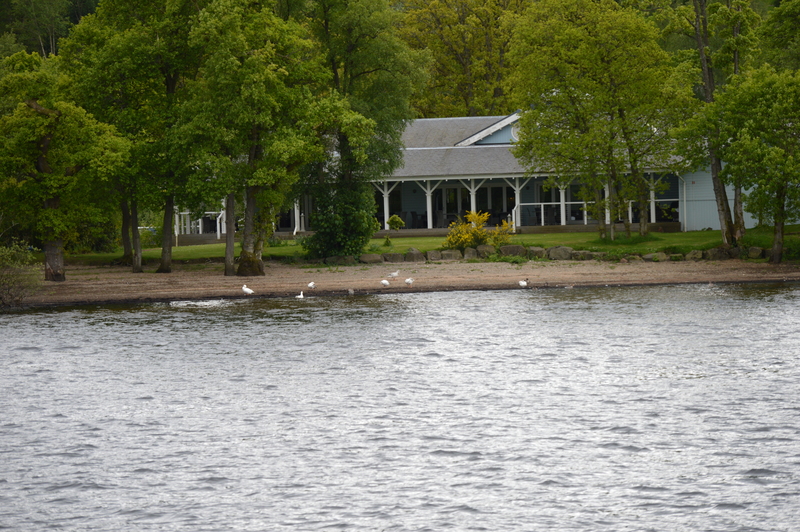 There are lodges on the grounds if you are looking for self-catering. You will need at least 3 days to explore the area. The area is steeped in history and there are some spots, including Stirling Castle that you cannot miss.